Beacon Events, a long-standing conference organiser in the Asia-Pacific region, will soon be hosting its inaugural Asia Esports Forum at W Taipei, Taiwan over 6-7th November. Beacon has put together a comprehensive schedule for the event which, in terms of speakers, includes the likes of Frank Sliwka, COO Asia at ESL Gaming, Jason Fung, Global Esports Director at Alisports, and Chris Tran, General Manager – Southeast Asia at Riot Gaming. Also on the speaker list is our own Sam Cooke, MD and Co-Founder at Esports Insider. The two day programme will cover Asia specific and diverse topics such as the ‘The A-Z of Brand Sponsorships in China’, evaluating esports venue options, and boosting local tourism via esports. Also on the agenda are discussions around investment in the space, regional regulatory and the legal landscape, mobile esports, and the opportunities for traditional sports clubs and leagues. One highlight should be the investor panel. 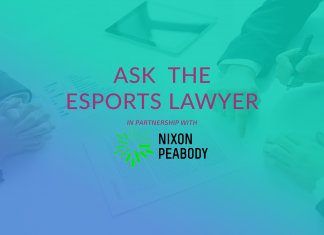 A number of investors that started to invest in esports teams few years ago will share their insight on the future investment opportunities; these being Minsoo Kim, CEO at Ambrasia Group Limited & AMPT eSports Enterprises, William K. Hsu, CEO at MEGA Esport and Dave Harris, Managing Director at Guinevere Capital Esports & Entertainment. Giulia Timarco, Senior Conference Producer at Beacon Events said: “Esports is considered to be a tool to attract the customers of tomorrow. Brands from the F&B, automation, banking and financial industry are already spending millions on tournaments and team sponsorships, not to mention computer hardware and software. With over half of the esports enthusiasts in 2017 based in the Asia-Pacific, I would say that Asia is fast becoming the biggest esports region in the world. Disclaimer: Esports Insider is an official media partner of the Asia Esports Forum.